I bought the paper pattern for this dress on the visit I made to Guthrie & Ghani at the end of the summer. From memory it wasn’t terribly cheap as patterns go, but it was a delight to use such a lovely pattern. The instructions are printed out on lovely heavy weight paper, the illustrations and super clear and there is a glossary of terms and techniques for anyone that needs a helping hand. The pattern itself was printed on a very good quality paper so it felt like there was less of a chance of tearing and would last for many many uses. I would definitely recommend Oliver + S patterns. The dress came together very quickly, the only halt in proceedings was sewing the button holes. I always seem to take my time when it comes to actually sewing the button holes. Whilst my Bernina has an automatic button hole feature, it certainly isn’t infallible, particularly when sewing button holes near seams. 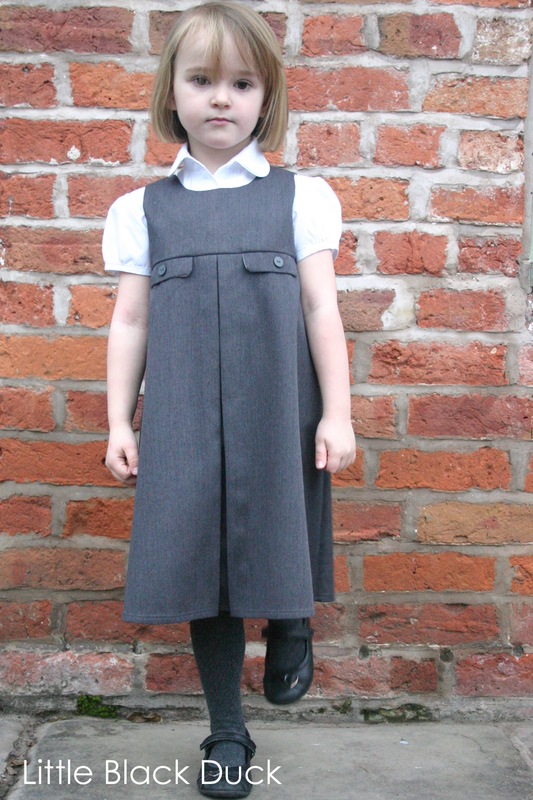 The foot seems to stick a little and there is a tendency for the button hole to go wrong. Sadly it was the same this time around so I unpicked one and shifted it a little away from the seam, I was away and the dress was done! 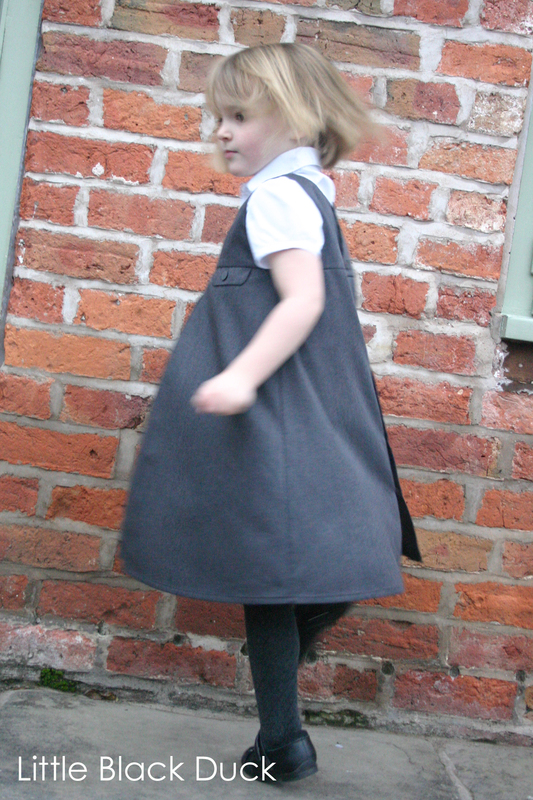 Charlotte has worn the dress to school and she looks great in it….it even twirls well, what a bonus for a dress you are supposed to be wearing for school! *Oliver + S paper patterns are on sale at 50% off until end of 30th November….what a bargain! Looks fabulous. 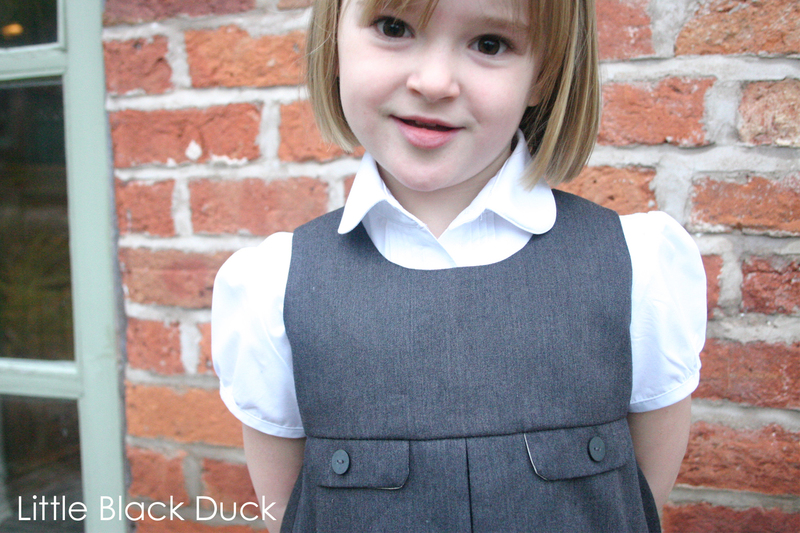 What a lucky girl to have her school uniform lovingly made for her.